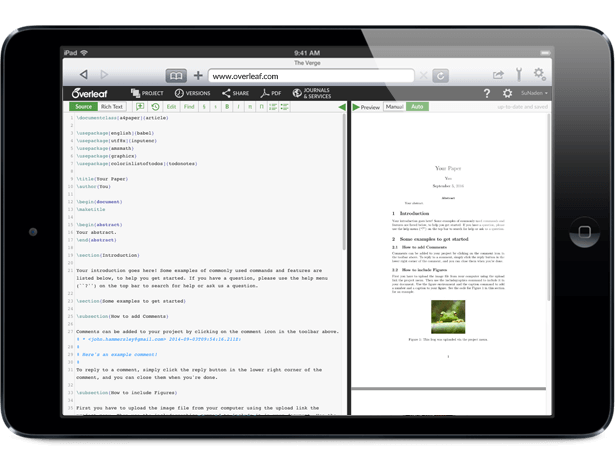 Have you tried Overleaf on your iPad, Tablet or Mobile? Whatever device you're using, just point your browser to overleaf.com and you can try it today. Perfect for making last minute tweaks before a presentation. Capture those great ideas the moment inspiration strikes. Work easily out of the office or away from your desk.